After a busy weekend in Sarajevo, today was a day off. I decided to make the most of the sunshine and head out on my mountain bike around the lakes near Jajce. I'd been going about an hour when I stumbled across this sight: the super-sized marriage of a decoy duck and a pedalo. Obviously, a photograph was essential, not just for its comedic value but because it illustrates an important attitude we have to our work here. Last summer we ran a month of activities with Novi Most for young people in Jajce. At the end of August we asked those who been involved for some feedback. Of the seventeen who filled out our questionnaires fifteen acknowledged they had some new experience over the summer: for some it was visiting a new city; for others it was going down a water slide at an aqua park; others went up an escalator for the first time. Having new experiences, at least fun, positive ones, is an exciting thing. The young people we worked with over the summer ended up with a better sense of the opportunities available for them in their country. This is important. 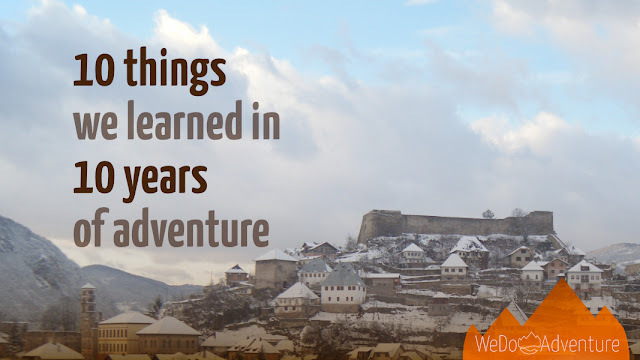 In a culture where people all too often look to other countries in Europe, or to the US, as the places that offer opportunity it's important to help show young people growing up here that Bosnia and Herzegovina has much to offer. Yes, it is a country not without its frustrations and challenges but it in the four years we've been here we have seen signs of progress. This progress needs to be supported. This can mean, for example, choosing to spend money on things here rather than have a cousin, aunt, brother or best friend bring them back from America. Of course clothes and high-tech products are cheaper there but that will never change here unless local demand grows. This brings as back to this bizarre picture. You only notice new things if you keep your eyes open, and sometimes go out of your way to look for them. It's easy to wander around a supermarket only looking for the things you always buy. The supermarket in Jajce has easily added a dozen new lines of interest to us in the last year. We've noticed! We played tourist guide to a local guy visiting Sarajevo for only the second time last weekend. It felt a bit strange but it meant that he got more out of the visit than he would have done otherwise. A week ago we were on Vlašić seeing a ski resort still scarred by war but working hard to have a future. It may never have the glamour of French or Swiss resorts but it could bring much needed tourism into the area. I will of course be telling people about the new floating opportunities available at Jajce's lakes.